Start growing fruit and vegetables? 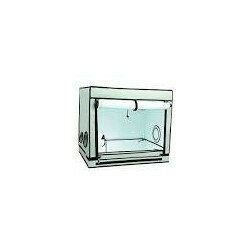 For this you obviously need a grow tent for? Here you will find the best quality tents culture of excellence. 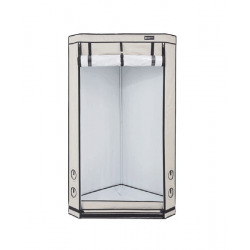 Several brands such as Secret Jardin, Budbox, Silverbox and Homebox to fit your farming purposes in increasing. 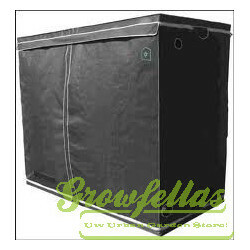 Buy the best quality Grow Tents do you Growfellas! 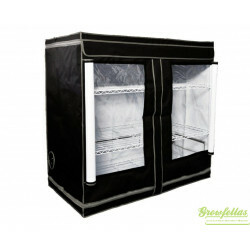 Buy cheap and quick order your grow tent! Grow tents There are 95 products. 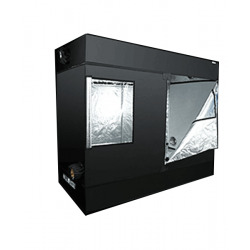 This new grow tent is covered with a strong reflecting silver or white coating (mention this when ordering) which advances the intensity of light from the inside. The low weight material has a strong burstresistance and is heat resistant as well as oil-, grease- and moisture resistant. 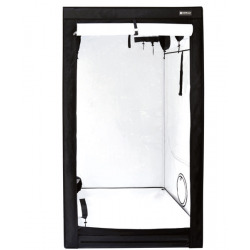 This grow tent is even washable from both the inside and outside. Besides that, this tent will not let light get in or out. Every tent has gaps for the ventilation and electricity cables. Below are ventilation grids, which open or close with velcro. The tent closes with a light resistant zipper. 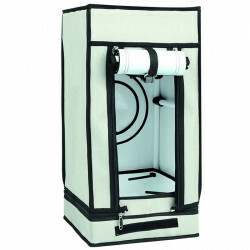 All tents have a removable drip tray and accessories which can carry to 15 kg per tube (4 tubes total). The tent will be delivered in an storage bag, which makes it easy to carry and to store the tent. The installation is quick and easy. The assembling instructions are included. The Homebox is an universal grow system for use indoors that can be used in all houses. Because of the several products in our assortment we can provide you all your needs for a rich harvest. 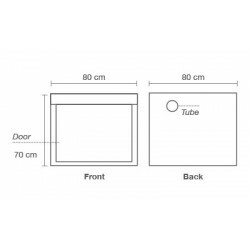 This excellent German product offers the home grower the chance to choose his appropriate Homebox for mother plants, cuttings, the growth fase and eventually the flowering. A place to grow you desire can be build by using the Homebox Modular. 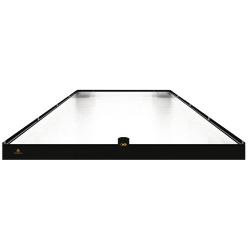 The 3 modules (set 1, set 2 and set 3 from 120x120 cm) can easily be connected. The choice where to put the doorways and the air admissions, is yours. Every set has a clear assembling instruction. 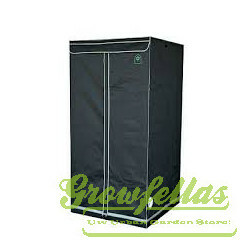 Secret Jardin is the number one in grow tents. Here you can find the complete assortment of Secret Jardin. These tents have a high level of light resistance (level 1), a high performance in reflecting (95%), quick and easy assembling and these tents have solid tubes to carry. The material is washable from the inside as well as the outside.